As you might expect, especially if you’re familiar with my itchy trigger finger on the camera, we take far more pictures than you see on the blog. If you’d like to check them out, you can find them on my Flickr page. I’ve recently uploaded a bunch of sets for your viewing pleasure… the shots from the Power Plant Exhibit are particularly cool. Finally, if you use Flickr, you should definitely add me as a contact! Posts have been a bit sparse as of late, but with good reason: we’ve been busy with a lot of rather uninteresting stuff. I started on a telecom project in Melbourne in the beginning of February, so I’m traveling there every week. Kristen has been immersed in classes, team meetings and coursework, so she’s been busy as well. Nonetheless, we’ve still been able to fit a few things in here and there. 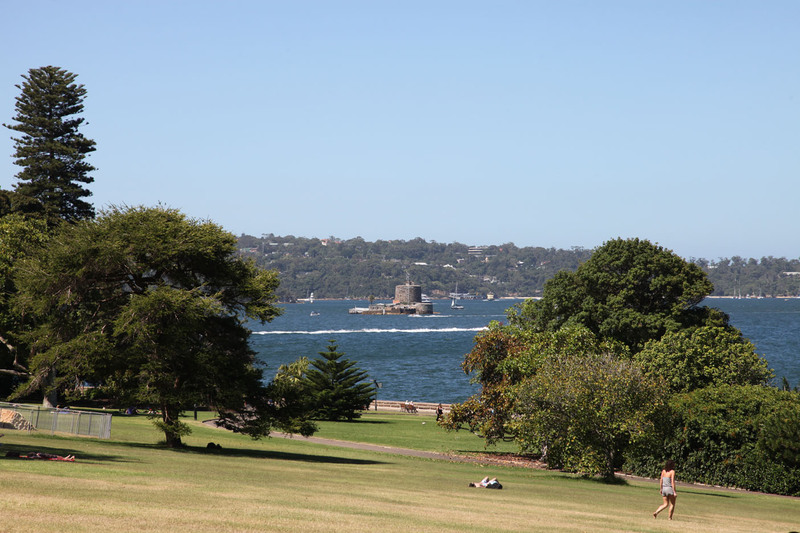 At the end of January we took a walk up to Sydney’s Royal Botanic Gardens, starting at the north end of the Domain and going all the way up to the Opera House. The Botanic Gardens are host to a variety of native Australian plants and some wildlife as well (mostly birds and spiders). A great place for a picnic or just some general relaxation, the Botanic Gardens also hosts the St. George OpenAir Cinema, an outdoor theater with a spectacular backdrop. 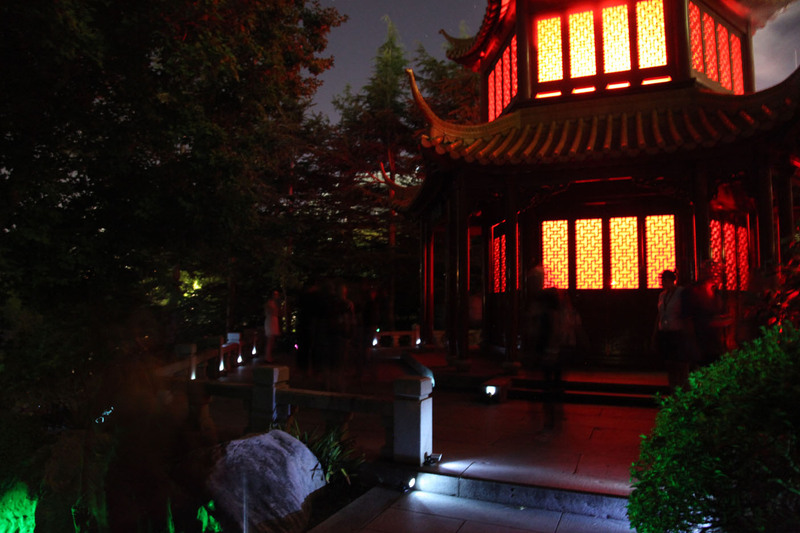 Later that night, we stopped by Darling Harbour for the last weekend of the Power Plant exhibit at the Chinese Garden of Friendship. A combination of light, sound and pyrotechnics, we were able to see and hear parts of it from the corporate apartment, so we made sure to stop by and see it for ourselves. It ended up having a bit of a outdoor Haunted Mansion feel, with sections eerily lit by old floor lamps, lots of fire and a variety of odd sounds coming from all over the place. Unique though, and worth the visit. Keep an eye on my photo gallery… more pictures are on the way. 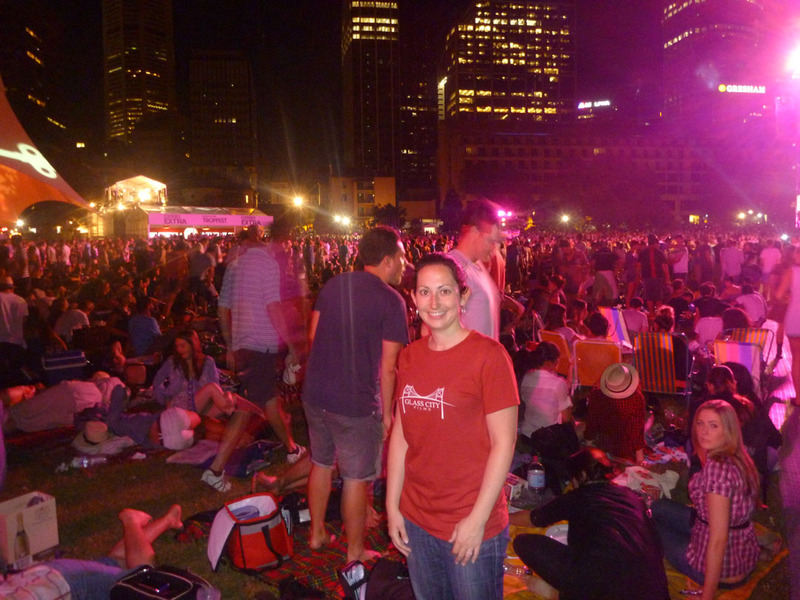 Tropfest, the world’s largest short film festival, is held in Australia every year. 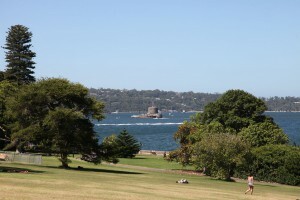 The main event takes place at the Domain in Sydney and is broadcast throughout the country. Coming from humble beginnings at the Tropicana Cafe in Darlinghurst, it is now quite a sizable event, with a record national audience of 1,000,000 people this year (of which 100,000 were on site at the Domain). Films must be less than 7 minutes long and must premiere at the festival, where the top 16 finalists are screened and a winner is chosen. We stopped by for some of the films and were lucky enough to catch the winner on the big screens. Of course, we also had to represent our favorite film studio, Glass City Films! 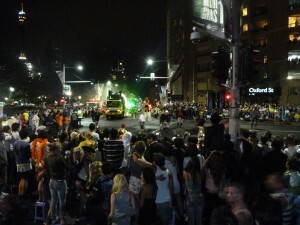 Sydney also celebrates Mardi Gras, but perhaps not in the same way as other cities. 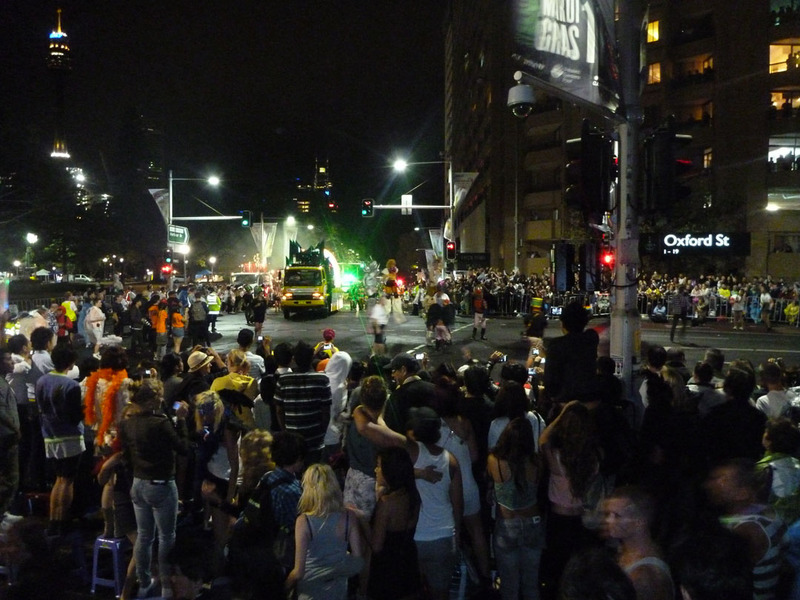 In Sydney, Mardi Gras is also the Gay Pride Parade and is billed as one of the largest (if not the largest) in the world. Featuring close to 10,000 participants and upwards of 300,000 spectators, the parade and ensuing after party are often cited as a must-see event for the worldwide LGBT community. We didn’t make it to the after party, but after getting past the barricades, we found some prime undercover real estate on Oxford Street to watch the festivities and stay out of the rain. 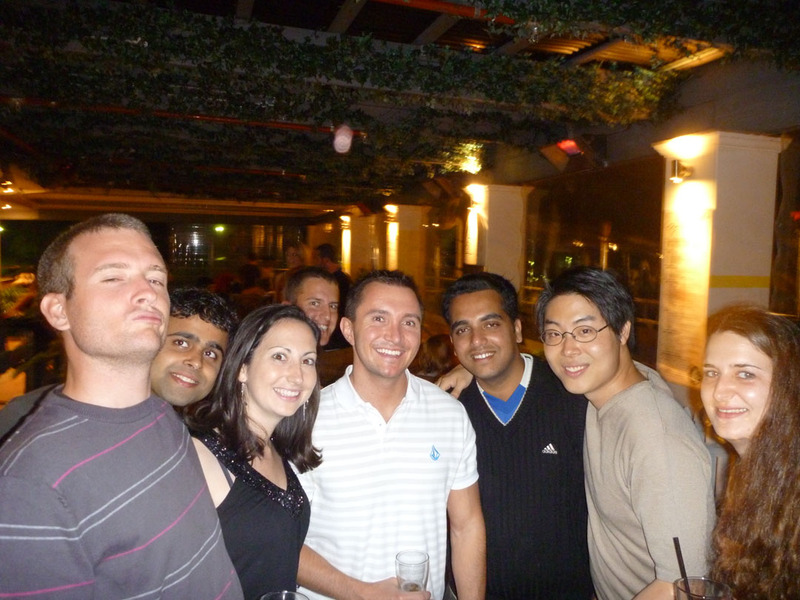 Every year the students from AGSM in Sydney and MBS in Melbourne meet up for a weekend of friendly competition. Alternating between Sydney and Melbourne each year, this year’s competition (in Sydney) includes a variety of academic and athletic events, from debates to rugby. I didn’t attend most of the events, but I did tag along for the volleyball game and was happy to participate when they needed a couple extra players. Sydney ended up winning the majority of the events over the weekend, so to celebrate the victory (and help the Melbournians drown their sorrows), the after party was held at the Beach Palace Hotel. Twice each year, all of ThoughtWorks Australia gets together for a staff meeting, affectionately called a “Team Hug”. This year the meeting was held outside of Sydney at Ettalong Beach and included a variety of talks from ThoughtWorkers and a rousing Social Justice-focused keynote from Roy, the founder. 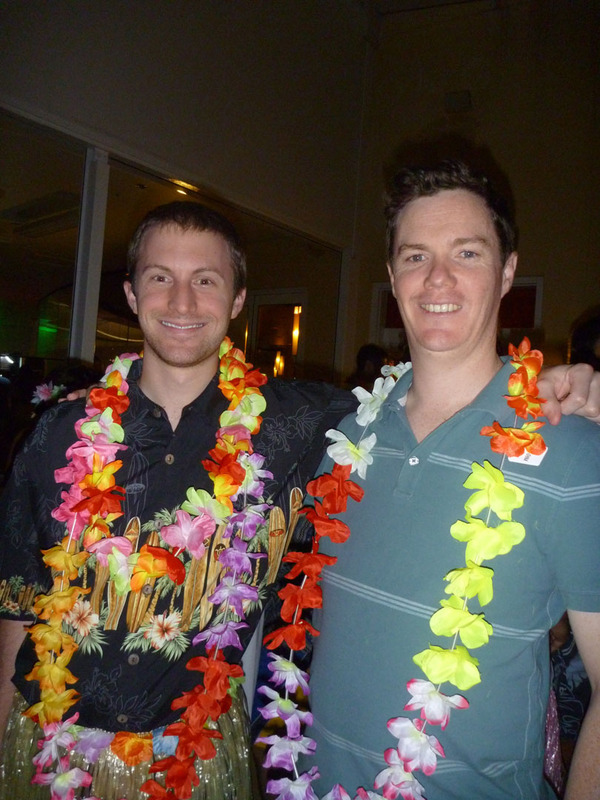 There was also a Hawaiian themed party on Saturday night, so I made sure to acquire a classy Hawaiian shirt and a hula skirt to complete my outfit. If you were to ask me before our trip what sport I thought I would become good/better at when I came to Australia, I probably would have answered something like “surfing” or “volleyball”. Turns out the answer is actually “bowling” … I was on the team for a corporate challenge and a weekly bowling outing has persisted in Melbourne for the travelers. We’ve still had time to try out surfing though, and while our first attempt was thwarted by rough waters, our second attempt was successful and we were both able to get up for at least a couple seconds. It’s not easy, but it sure is a lot of fun. If you plan to learn to surf when you visit (and you should! 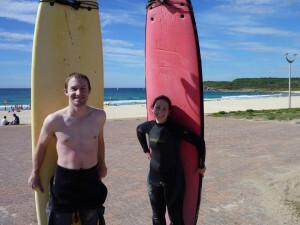 ), Maroubra Beach is an excellent place to start. It has a nice sandbar that makes it easy to get out to where the waves start to break and it’s a bit less crowded than some of the other beaches.